Children on the Edge have been working in Lebanon for many years, helping establish and grow tent schools with the refugee camps in the Bekaa Valley. There are many challenges facing Syrian refugee children living in the camps and 20% of school age children are not able to be in school. Public schools are scarce in the area and many refugee children face harassment, violence or discrimination. The need is so great, that when registration was opened for new classes in the tent schools at the start of the year, an additional 180 children were queuing up to be enrolled. Seven new classes have started this year, bringing the total number of Syrian children enrolled to 500, with a further 100 on the waiting list. There are significant challenges ahead, however. With many Syrian children out of school for so long, they have often missed out on basic education. Even those who had had access to school have fallen way behind. Nuna Matar, who leads the schools work in Lebanon said “We were shocked to see so many 10 years old who can’t even write a simple word. These kids have been going to formal schools but have not even learned basic reading or writing skills”. The government have opened up classrooms for more Syrian refugees, but not every child is able to attend due to lack of space, transport costs, harassment and language barriers. This has made Children on the Edge’s tent schools very attractive for Syrian refugees, as they provide a safe environment for children and quality education. 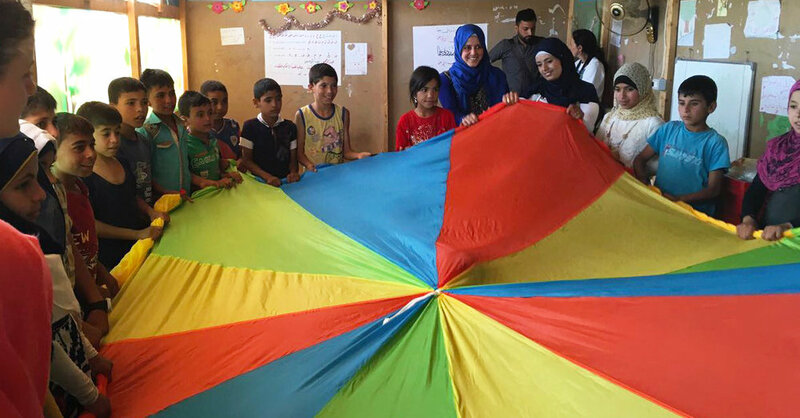 Teachers are trained from within the Syrian refugee community, rather than brought in from outside the camps, and this gives a vital sense of familiarity for the children. One of these teachers, Aisha, used to work as a teacher in Syria in an area occupied by ISIS. She shares how ISIS were indoctrinating children into their ranks, putting “heavy weapons in the hands of kids who were 10 years old and younger, … promising all kind of things like money, luring young boys. Parents were not allowed to object”. South Downs Water donates £50 a month to Children on the Edge and is the water sponsor for Children on the Edge’s Chichester Half Marathon. In Lebanon £50 can help provide education for a term for a refugee child living in the camps in Bekaa Valley. 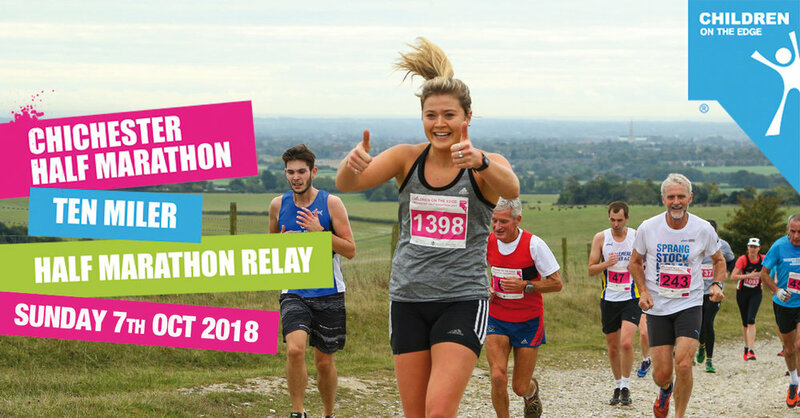 If you would like to sign up to the Chichester Half Marathon, which takes place on the 8th October 2018 you can sign up at www.chichesterhalfmarathon.co.uk and you can also sign up to run the full half marathon, a ten mile route or as a relay team and raise money for Children on the Edge in the Run for Refugees team.